Our Christmas at home is not complete without blini and smoked salmon at least once during the holiday. Having splurged on Christmas Day I thought that we wouldn't be re-visiting this recipe until next year but fate decided otherwise when I woke up to yet another grey rainy cold day this week. There seemed only one way to bring some sunshine into the day, so a late breakfast of strong black coffee, blini and home-cured salmon seemed the perfect recipe to put a smile on our faces. Judging by the speed these were devoured I am definitely going to serve round 3 on New Years Day - this time with champagne to welcome in 2010. This recipe makes enough to serve 4-5 for breakfast, and up to 8 for a starter or canapes before a meal. 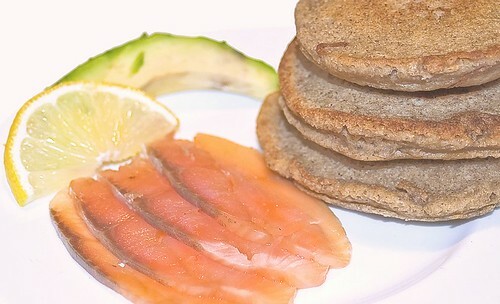 Blini are naturally gluten free as they are traditionally made with buckwheat flour. Buckwheat does have a distinctive flavour, so if it is too strong for you substitute half the flour with a gluten free blend, rice flour or plain wheat flour if you are not following a glutenfree diet. I fried these blini in a 50/50 mix of unsalted butter and lard, the lard is a fantastic addition, making them crispier and far more flavoursome then if simply fried in butter. The lard suggestion came from GlutenFreeDay, you can find an alternative recipe and method on Emilia's great blog here, she also has suggestions for dairy free substitutions if you need them. tips the yolks into the warming milk and whisk in. Serve warm with cured or smoked salmon (see my recipe here) and a slice of creamy avocado. "weight the milk and cream into a small saucepan and put on a very low heat to warm"
Does this mean there is cream missing from the ingredients? And does it mean that the milk really is weighed? Thank you for this blog. I just found it. Thanks for your message & sorry if the instructions are a bit confusing. The cream refers to the 100g creme fraiche / sour cream. You can use 125ml milk instead of the weighed amount as this only varies by a few grams. I tend to weigh all my ingredients into the bowl or pan I am using to mix in, simply because I am too lazy to wash up a measuring jug (not sure I should admit that)! I use a set of battery operated scales with a tare function which allows you to re-set the scale to zero after each addition is made - this makes accurate gluten free baking a lot simpler. I hope this helps and that you like the recipe. 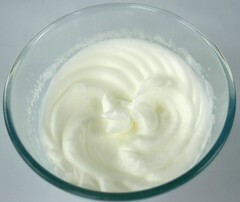 I was going to let you know that I suddenly realized the "cream" is the sour cream (how silly can one get?) and lo and behold you had already replied. 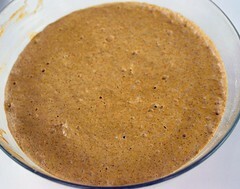 I am looking forward to trying your recipe - will let you know how it turns out. ps I am using "anonymous" as I don't know what all the other profiles mean. I hope it isn't a rude thing to do!